Just fill in the information below and you’ll be one step closer to collecting your travel rewards! Choose PlannerNot ListedAnnetteCarolChristineDeniseDianneDonnaFiaJenniferKymmLaurenLeeMelissaMindyNikolasPamRoseSandraSerenaSusanVictoria Email is for VERIFICATION ONLY, and will not be used for marketing purposes without consent of the email address owner. *Terms and Conditions: All referrals must be made PRIOR to the referred party making a reservation with Pavlus Travel. Referring person receives no travel reward if the new traveler has booked a prior reservation or previously traveled in a Pavlus Travel booking before. There are no exceptions to this rule. There is no limit to travel rewards as long as all terms and conditions are met. Total reserved package cost of the referred party must exceed $500 per person, excluding port charges, taxes, government fees and security fees. Offer is valid for new bookings only and one travel reward is issued for each reservation regardless of the number of people booked in each reservation. The referred party must be traveling in a separate reservation/booking than a prior client of Pavlus Travel. Travel rewards will be issued upon completion of the referred person’s actual travel. Travel rewards cannot be transferred to another person. 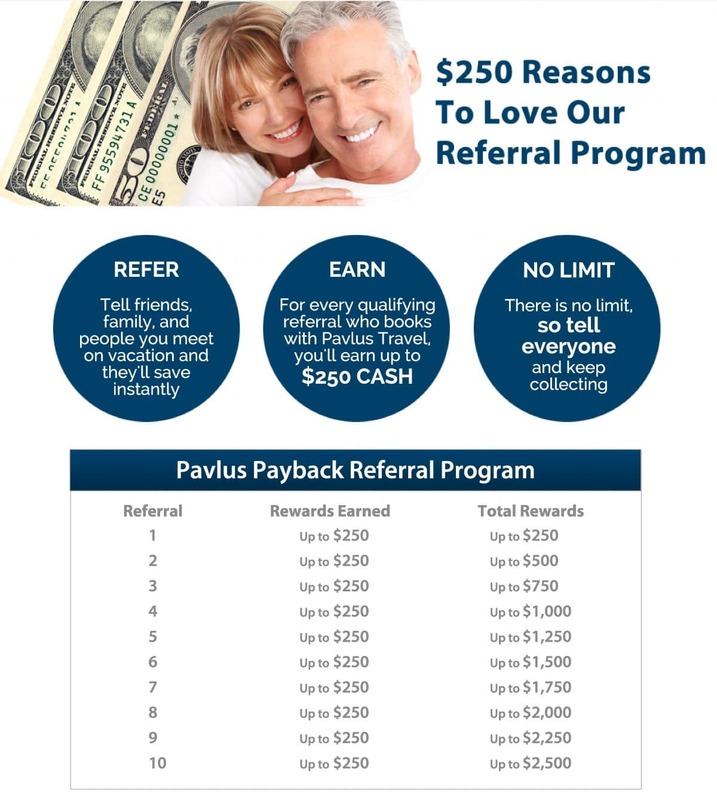 Any portion of or the entire Pavlus Travel Referral Program may be changed, amended or cancelled, for any reason, with or without prior notice to existing members. $250 is for all Oceania Cruise reservations, $200 for any Viking, Crystal, Uniworld, AMA, Avalon Waterways, American Queen, American Cruise Line, Croisi, Emerald, Scenic, and Windstar bookings, $150 for Abercrombie & Kent, Adventures by Disney, African Travel, Celebrity Expeditions, Lindblad Expeditions, Tauck, Silversea, Seabourn, Regent, Travcoa, and National Geographic Tours bookings only, $100 for Globus, Monograms and Cosmos bookings. All other eligible bookings receive $50 per referral booking. 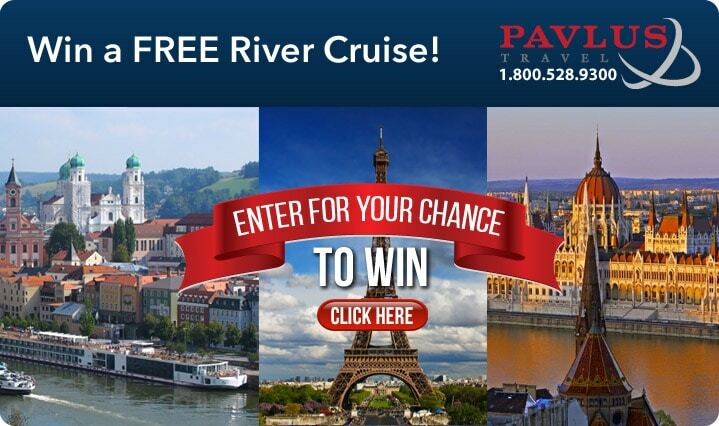 If you have any questions, please call Pavlus Travel at 800-528-9300.